Pullen CE, Arlinghaus R, Lennox RJ, Cooke SJ. 2019. Telemetry reveals the movement, fate, and lure-shedding of northern pike (Esox lucius) that break the line and escape recreational fisheries capture. 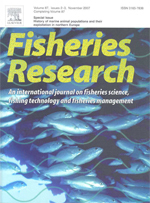 Fisheries Research 211:176-182. Pullen, C.E., K. Hayes, C.M. O’Connor, R. Arlinghaus, C.D. Suski, J.D. Midwood and S.J. Cooke. 2017. Consequences of oral lure retention on the physiology and behaviour of adult northern pike (Esox lucius L.). Fisheries Research.